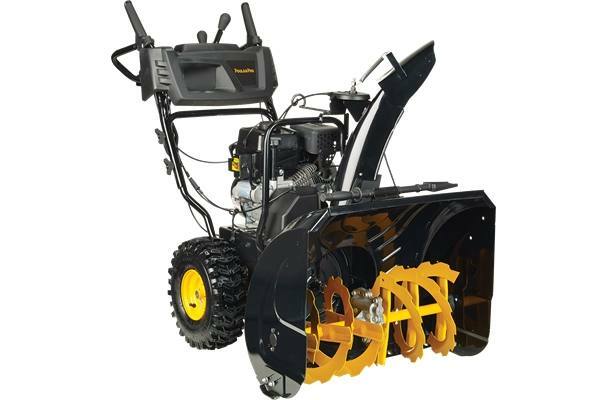 A wide 27" working width and a powerful 254cc engine makes the PR270A perfect for large 3+ car driveways. Dual stage snow throwers use a two step process to clear snow powerful ribbon augers break through snow and ice and propel it back into the impeller blades which then push the snow up and out of the chute. Getting started with the PR270 is easy...just plug it in to a power outlet and start the engine by pushing a button and you're ready to go.